Neva Mae Snyder, 78, of Buckhannon, died Tuesday, April 18, 2017, in Barbour County Good Samaritan Nursing Home in Belington. She was born in Fayette County, Feb. 2, 1939, a daughter of the late Elizabeth Grose. She was united in marriage Sept. 7, 1958, to John Eugene Snyder, who survives. 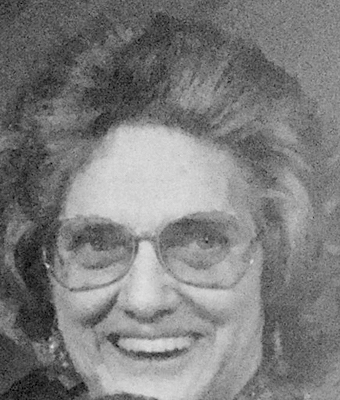 She is also survived by two daughters, Anita June Snyder and Mary Elaine Cosner and partner, Ralph Gould, all of Buckhannon; one son, John Joseph Snyder and partner, Connie Horner, of Buckhannon; four grandchildren, Tiffany Dawn O’Connor and husband, Marshall, James Tyler “Bubby” Snyder, Brittany Lea Grubb and Britany Horner; and special friend, Jean Wright of Buckhannon. In addition to her mother, she was also preceded in death by two special friends, Delma Wyatt and Rachael Ronsdale. Interment will be in Lorentz Cemetery, and there will be no services. Online condolences may be extended to the family at www.heavnerandcutright.com. The Snyder family has entrusted Heavner and Cutright Funeral Chapel with the arrangements.